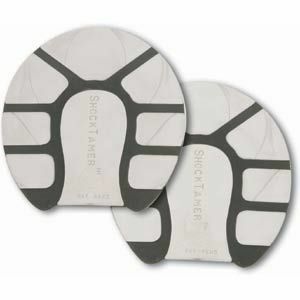 SHOCK TAMER LARGE PADS dual-density hoof pads. The softer gray polyurethane is the shock absorber while the harder black frame provides support and is the shock dissipater. Sold by the pair.